Lust auf Suppe, aber keine Zeit? Wir haben da eine Idee für dich. It is the miracle cure for every cold and no-one makes it as delicious as mum does - chicken soup. If you want to cook it yourself, under no circumstances should you leave out the vegetables. But spending a long time chopping vegetables spoils that feeling of pleasant anticipation, don't you think? 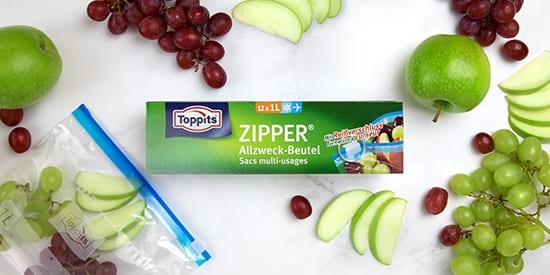 The best thing is to be prepared and the Toppits® Zipper® all-purpose bag will help you. Leek, celery, carrots and parsley are four good vegetables for soup, which you can freeze wonderfully. 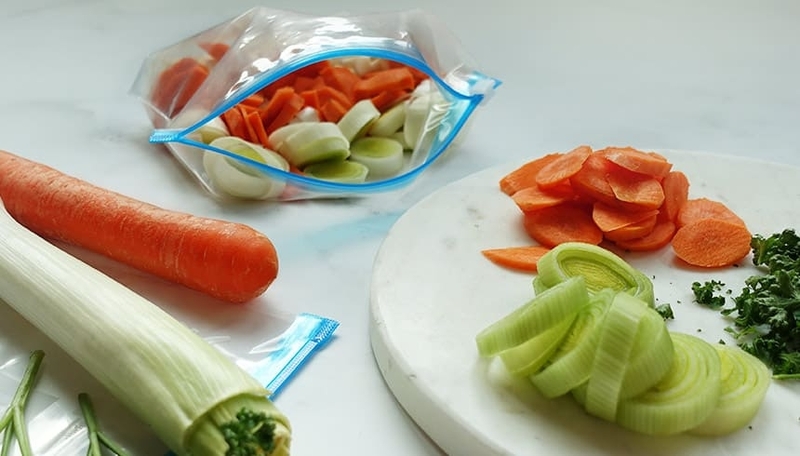 So if you have a little time and want to spend it in the kitchen, cut a few more vegetables, pack them unblanched in a Zipper® all-purpose bag and freeze them. When it is time for soup again, simply take out the quantity of vegetables you need and put the rest back in the freezer.